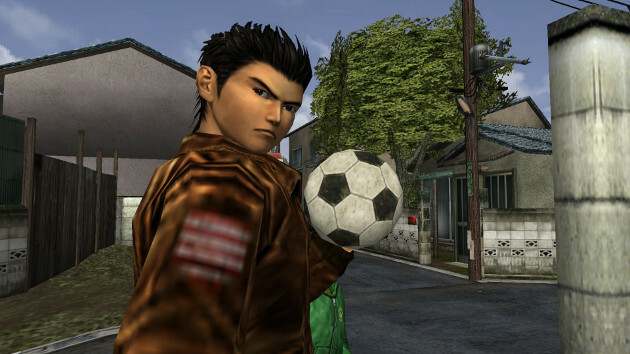 When Twitter launched in 2006, most gamers assumed that the Shenmue series was dead in the water. The last game in the series, Shenmue II, had released back in 2001, shortly after Sega exited the console market. The big-budget franchise had earned rave reviews, but it also cost Sega a small fortune to develop. Between Sega’s financial woes and the years of radio silence, a third game seemed all but impossible. But like Ryo Hazuki, the protagonist of the Shenmue series, fans were incredibly persistent. They used Twitter as a rallying point, banding together to share their love of the series. On the third day of every months, hundreds, then thousands of users would tweet alongside the hashtag #SaveShenmue. It didn’t matter how hopeless things seemed; they were determined to see Ryo’s journey through to the end. On June 15th, 2015, the impossible happened. 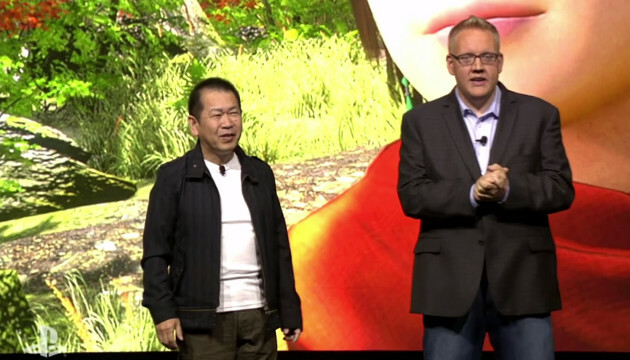 Shenmue creator Yu Suzuki took the stage at Sony’s E3 press conference and announced a Kickstarter campaign for Shenmue III. Within 8 hours of the announcement, the game had been fully funded. When the campaign ended in July, it had raised over 6 million dollars. Fans had never given up on Shenmue, and at long last, their faith had been rewarded. Now, Shenmue devotees hope to harness the power of Twitter once more. Fans are using a brand new hashtag, #SaveShenmueHD, to ask for HD versions of the first two Shenmue games. Unlike their last Twitter campaign, this seems like a fairly simple request. HD remakes are commonplace, and skyrocketing Dreamcast sales prove that the demand for these games is high. However, making this dream come true might be harder than it seems. Back in 2012, IGN reported that Shenmue HD was headed to both XBLA and PSN. According to their source, the games had been finished for “well over a year.” Sega was simply waiting for the right release window. 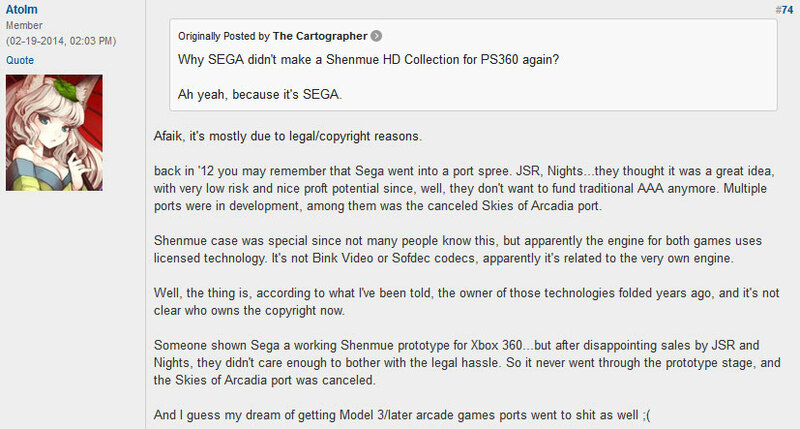 But in spite of early reports, Shenmue HD was never released. At the 2014 Sony Playstation Experience event, Sony Corporation of America director Gio Corsi said that Shenmue HD was his “number 1” request, but that there were a number of issues restricting the game’s release. While there are no public statements regarding Shenmue HD‘s difficulties, there are a number of fan theories. Many of them revolve around an old post made on the NeoGAF message board, in which a user claims that there are copyright issues involving the game’s engine. Although there’s no way to confirm (or debunk) the information in this post, it’s clear that there are complications surrounding the release of Shenmue HD. Re-issuing the first two games may seem like a license to print money, but if doing so will cause legal headaches for Sony, they might not think it’s worth the hassle. That makes it all the more important for Shenmue lovers to show their support with the #SaveShenmueHD hashtag. If fans show Sony how important this is to them, they’ll be more willing to jump through whatever hurdles necessary to bring them to modern consoles. Shenmue HD may be a longshot, but that doesn’t mean it’s beyond the bounds of possibility. And even if it is impossible, the Twitter campaign is still worth a shot. As Shenmue III has shown, impossible things can happen every day. hope this doesn’t stop development of Shenmue 3. I want to replay Shenmue but I don’t have a VGA adapter to HDMI converter for my Dreamcast. Sads.